You are so very welcome to my blog page. My name is Amy and I’m 30 years old. I have a lot of loves in my life, my husband, my fur baby Foxy, travelling, healthy food, red wine, being outside in the fresh air ,oh and the Twilight Saga! I have a busy life working full time, whilst juggling exercise and healthy eating into the equation. I have always been wary of my weight, i grew up with a mom that started a new diet every Monday and thought that it was normal to try every faddy diet going. I was a fussy eater growing up and was very slender as a child, when my hormones kicked in about 14 years old the dreaded puppy fat did too. I remember during Science at school we had to weigh ourselves for some experiment, we all shared what our weight was and i remember one girl saying ‘wow, you’re quite heavy’ – that is all it took to become paranoid about my weight. I would not eat my lunch and eat only an apple all day, i would find it hard to function and then would stuff my face when i got home because of the hunger pangs, so i was never better off. 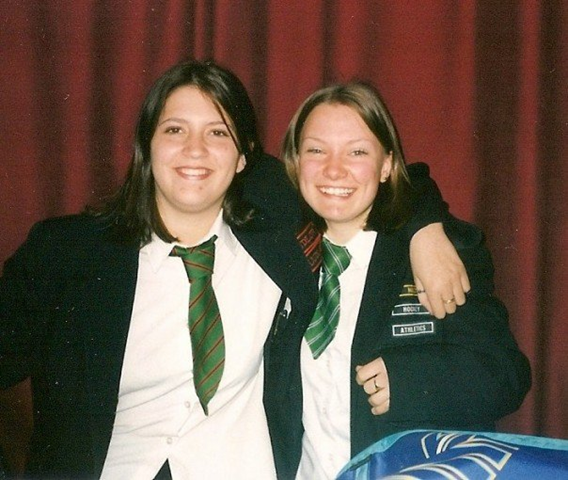 I was never confident as a teen because i thought i was fat, when i got to university, i came out of my shell a little with the help of alcohol, but what is in alcohol?…sugar, so the weight kept piling on. I lived a VERY unhealthy lifestyle at university but all my friends were similar, we would buy cheap processed food so we had the money to go out drinking. When i met my husband, i realised how unhealthy i was, he came from a family where everything was cooked from scratch and exercise was a normal thing to do. He was boxing at the time i met him for fitness and his muscles were huge! In the holidays from uni i went to visit hubby in his home town on the coast, we went out for the day to explore the coastal paths, i could not appreciate the views as i was struggling to breathe walking up the paths, i felt so pathetic and well…unfit. We visited Canada in 2005 and went to visit a glacier, again we had to walk up a steep mountain to get to it and again i could not breathe due to my fitness, i started to cry, i felt defeated and useless – none of the others struggled getting to the glacier. Hubby told me not to get upset and reminded me i have never been fit so can not expect to feel ok on such a tough walk. That was it…i never wanted to feel like a failure again so i joined a gym and started slowly working out, every time i could last a minute longer on the treadmill or i could lift a slightly heavier weight, gave me such a feeling of achievement, something i had never felt before. The hubby and i went travelling in 2006, we exercised where we could i ate as healthily as i could, the weight stayed off and i felt amazing. My confidence soared and i took on any physical challenge thrown at me. 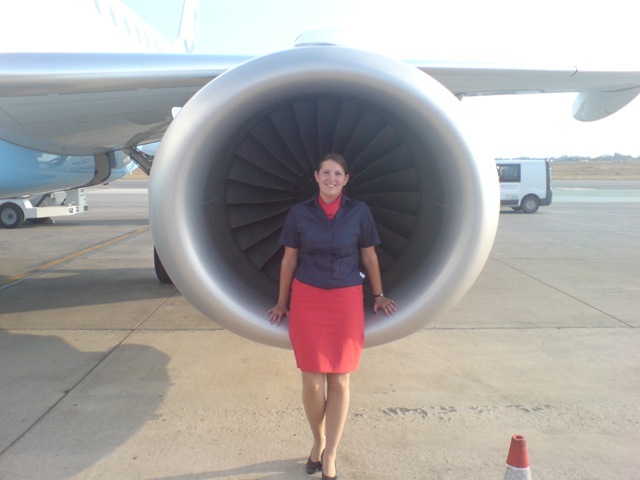 Once back to the real world of work in 2007, i started piling on the weight working as cabin crew, the crew food was full of fat and so easy to eat when bored on a delay. By the end of the year i had gained about a stone in weight and had hardly exercised – i felt yuck. I got a new safety management job in the September of 2007 and also moved into mine and hubbys first home. I was now settled into a 9-5 job and was content in my own home, nothing was stopping me so i joined the local gym. I started the fitness classes straight away – i felt fat and unfit when i started but so determined. My fitness improved every week. 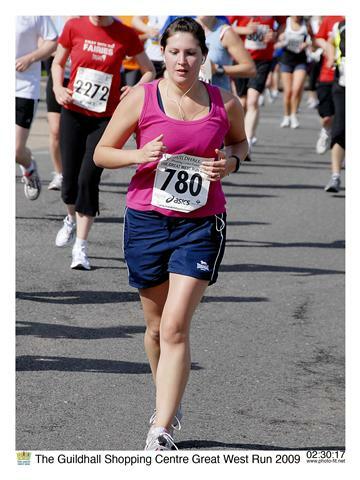 By January 2008 i had lost a fair bit of weight and felt confident enough to start a new challenge…the Cancer Research 5k Race for Life. I had never ever ran before in my life, i always told people that i was not built for running (even though i had never tried), i downloaded a training plan off the internet and made a start. I had to begin by running 30 seconds and walking 1 min, i could hardly breathe but kept at it, in July 2008 i RAN my first 5k in 34 minutes (not bad considering the weather was terrible and the paths were mud!) I was so happy in my achievement. I went back to the classes and kept my fitness up, by christmas 2008, i had bought a copy of Runners World and read an article on running a half marathon, it got me thinking…could i do that? My brother-in-law asked me what i was reading, when i told him he said that he would run one with me if i liked? 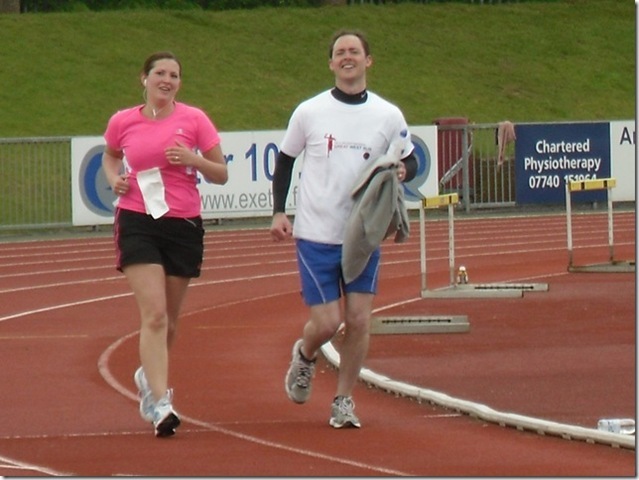 We checked out the internet and noticed a race in Exeter in May 2009. We signed up straight away – there was no going back! I stuck to a beginners running plan, and with a few panics of my ability and fitness along the way, i completed my first half marathon in 2:30:17 on 3rd May 2009. 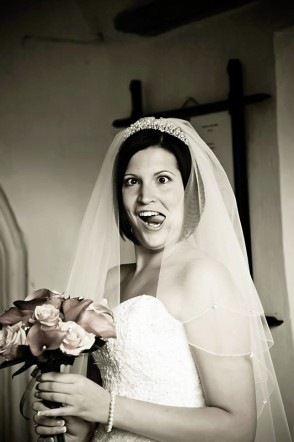 I quit running for a while after that so i could concentrate on my wedding preparations. I continued with my classes but suffered a few migraines close to the wedding so quit them for a short while too. I felt perfect on my wedding day, not too skinny, not too fat. 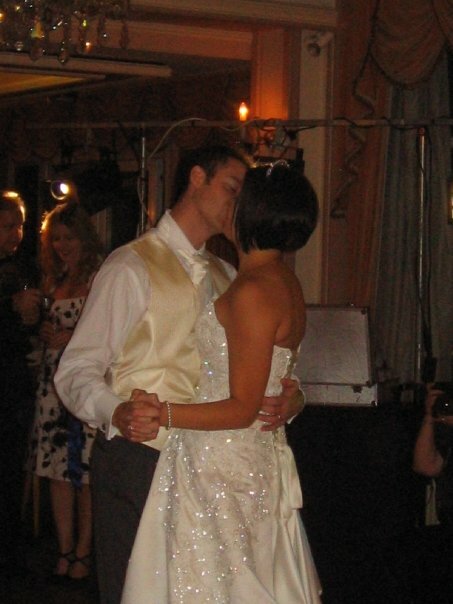 After the honeymoon, i found it difficult to get back into the fitness and healthy eating (call it contentment) and slowly gained all the weight i had lost for the wedding (almost 10lb!!!). 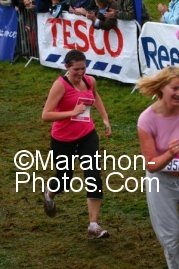 I decided to run the same half marathon again in May 2010, to give me the kickstart i needed. I did not take the training so seriously and when i ran the half on 2nd May 2010, i finished 7 mins slower than the previous year – i injured my right hamstring in the process too. So here i am today, i have decided to be a little more relaxed about what i eat and blog about – i started to put too much pressure on myself to be perfect for the blog that i temporarily stopped as the enjoyment went out of it. I am ready now to be honest when i blog and not be too stressed to take photos of all the food i eat. Like most people i am looking forward to indulging over xmas 2010 and starting a new workout regime in the new year. We’d love to send you over a limited edition product on Wednesday but we need your address. If you’re happy to share it please email it over to me at jennyr@splendidcomms.com. 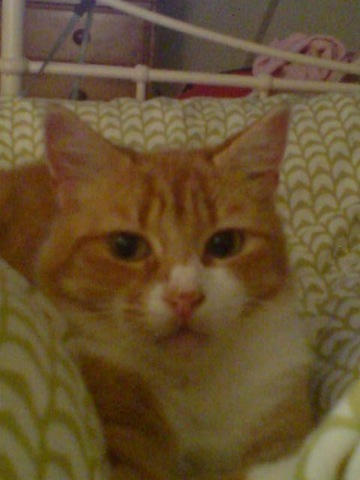 I just found your blog and it looks great- it’s good to find someone who blogs from the UK!!! I can compare myself with you on so many levels, it’s insane! Most strikingly, that I started working for an airline in 2007 & I think it might be the same as the airline you work (worked?) for! Flybe? The uniform looks identical to mine! Anyway, just thought I’d drop by and say hi! Hi Marijke – i actually recognise your name!! Well it is an unusual one i suppose…do you still fly? Thank you for stopping by my blog and leaving a comment, do you have a blog too? I don’t fly any more but I did my initials in September 2007 and worked out of SOU for a year. I had some great times but it just wasn’t for me in the long run! Are you based in EXT? I love your story- well done on the race for life (and snap- thats how I started running too 🙂 ). Oh wow you were cabin crew too? I just finished up 10 years as a flight attendant last year and even worked in London for 18months for some of that time. Once a FA always an FA right? Hiya. I found your blog via OSG, I think. I lived abroad in London for 2 years, a few years ago… I love, love, love the UK. (The products I miss from my time there would probably make you laugh!). 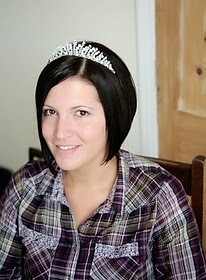 And I love the tiara picture as well! Hi Amy, I was looking at the followers on my blog and (I’m so behind on this) but I never realized I had another running enthusiast following the blog. I couldn’t find your email on here so I figured I’d just leave a comment and you can grab my email from my profile to respond if you want.